twice is nice: Gogo's Crazy Bones Bonanza! 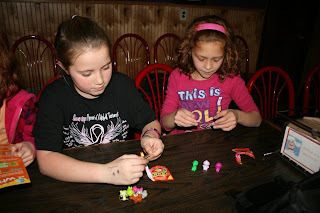 About a month ago I was selected to be a host courtesy of Child's Play Party (see my post here)...and this month I was lucky enough to be selected again for another party ~ Gogo's Crazy Bones Bonanza! Woo hoo! If you would like to learn more about this great company and apply for parties too, then check out their website! What are Gogo's Crazy Bones? Gogo's are the hottest mini game toy for boys and girls ages 4 - 12. Gogo's were inspired by games from ancient Greece where children played by bouncing and throwing sheep knuckle bones. 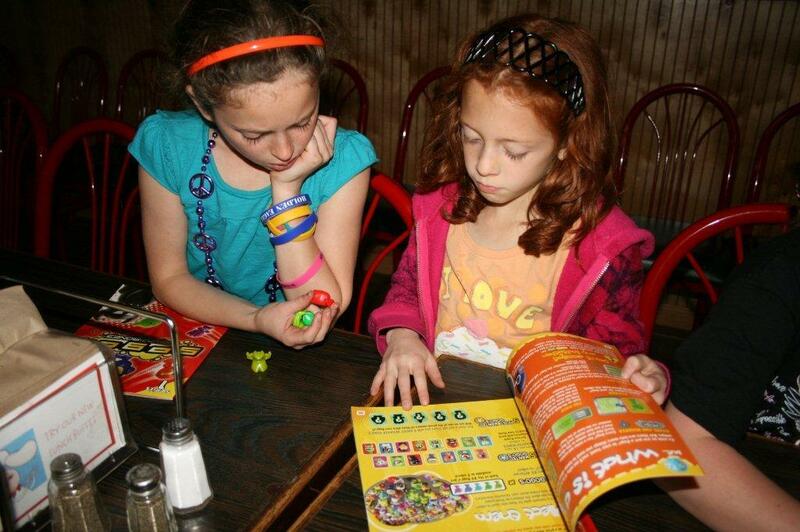 Today’s Gogo’s are reminiscent of old school favorites such as marbles and jacks, with a modern twist! Each Gogo has a unique number for collecting and designed so you can hold and throw with one finger. You can identify an authentic Gogo's Crazy Bone by the Magic Box Int stamp on the back of your Gogo. This certifies your Gogo is an original with fantastic bounce, design and personality. Each Gogo's Series has about 80 different Gogo's in five different colors, some of which are rarer than others, each with a unique face and name. You can find Series 1 – The Originals, in stores now. Series 2 – The Evolution Series, will hit stores near you in May 2011 and Series 3 – Gogo’s Explorer Series will arrive in August 2011! 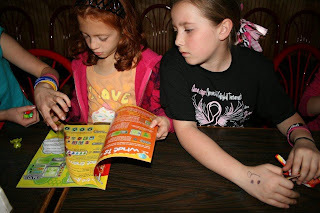 Every Gogo has a sticker for the sticker album. Each Gogo is available in 5 different colors. Here is a pic of what came in my party box, minus the evaluation forms. The 100 Gogo individual packs were divided in half by the white sealed bags. You can find Gogo's Crazy bones on Facebook & Twitter! This is truly a new toy that your children (of all ages) will love!